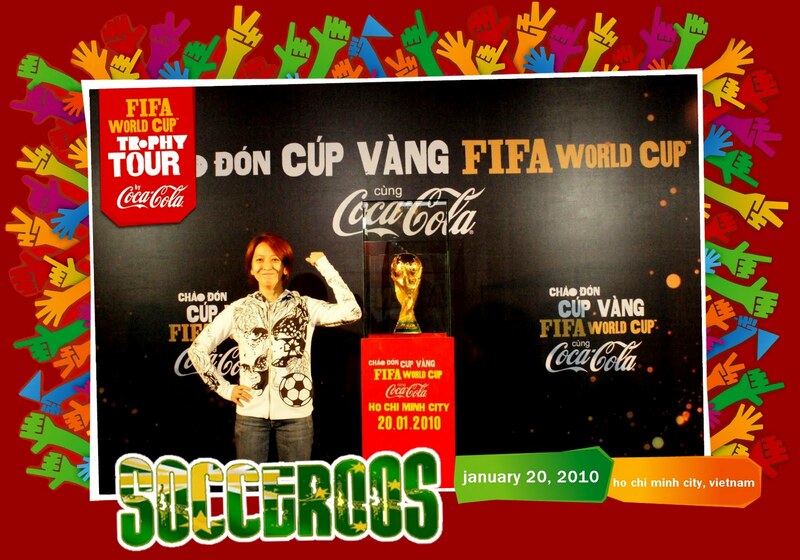 Last January 20 I was very excited to join my friends for the FIFA trophy tour here in Vietnam. I couldn't believe that it was six months already since then. Cut to the present time, yesterday night I was wide awake 'til 1:30 in the morning to watch the World Cup which is my most anticipated game between Australia and Germany. Although everyone knows that Australia is the underdog and Germany is the domineering team, I didn't lose hope. Who knows... a miracle might happen. 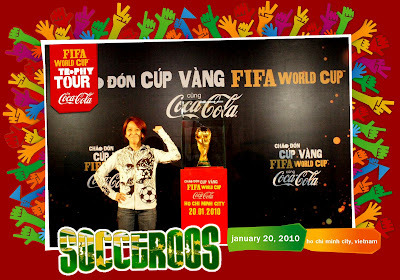 Australia's wonder boy, Tim Cahill might repeat his magical goals during the finals against Japan. I was ready to watch the game but prior to that I was chatting to my friend who's in Germany with her German football player boyfriend and he predicted a 3-0 game. They we're saying thumbs down to Australia and I was saying BOOH Germany! So the game started. Slow moving at the start until Germany started to maneuver the game by acquiring their first goal scored by Podolski. Staying calm and I was telling my self, that's fine there's more time left. Then Klose, Muller & Cacau, succeeded the goals. I saw the intensity or the quick foot moves of the Germans. The Roos were left behind and having a hard time catching up. Their ball possessions were lesser and I felt the frustration of Lucas Neill during the ball game. Then the fall of the Australians for me was when Tim Cahill got the Red Card when the score was 2-0. I think that was it. Then the game finished at 4-0. The Hitler's country won! Some says that some of the ROOS are old, nah. It's not about that. Maybe the composure of the Australians is not that solid yet. Still a long road for them to be really good in football. Game was kinda disappointing because I was hoping for at least a draw game in the beginning. But when I saw how they struggled, I just wish that they would have a score at least. But anyway it's still worth it to still see my team playing for FIFA. The whole globe is raving for the world cup except for Philippines. But that fact didn't stop me to pursue my enthusiasm watching football and cheering for my team, which is the Australian Socceroos! Let's wave the Australian flag again against Ghana & Serbia!